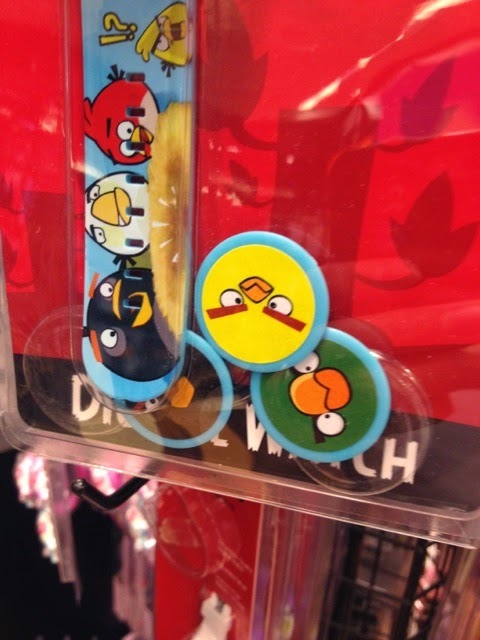 Spent the day walking around in shopping malls when I spotted these.... Cheap and colourful... some cheaper then expected. 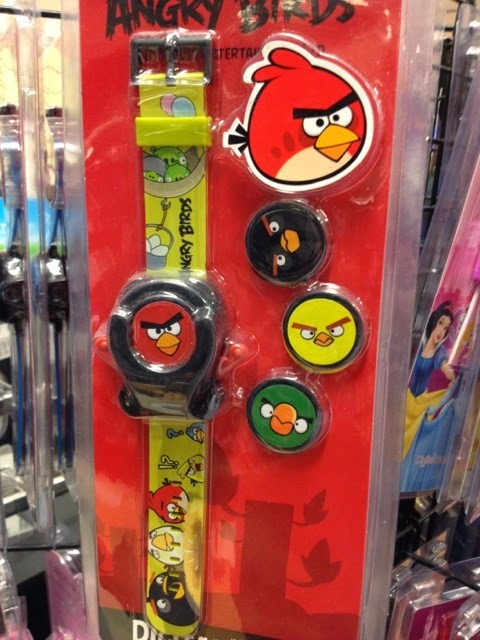 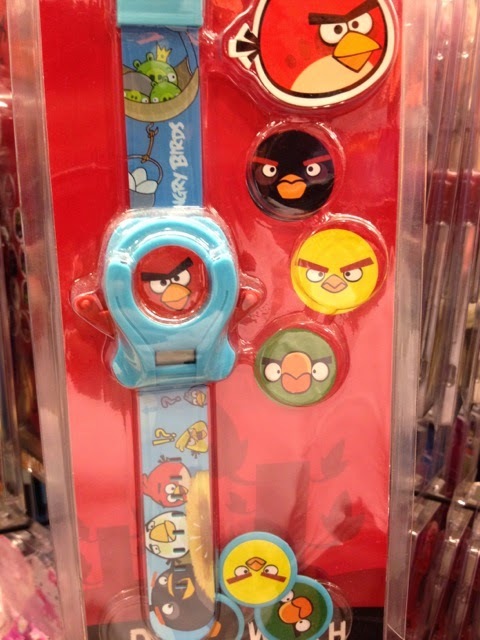 Angry Bird watches. 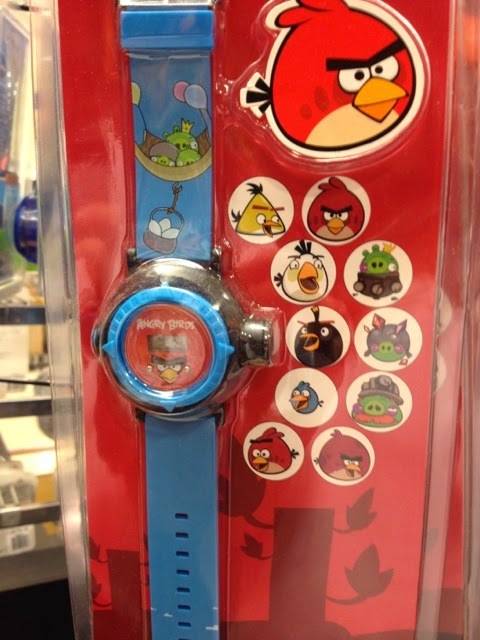 This one shoots the Angry Bird discs from the top of the watch. 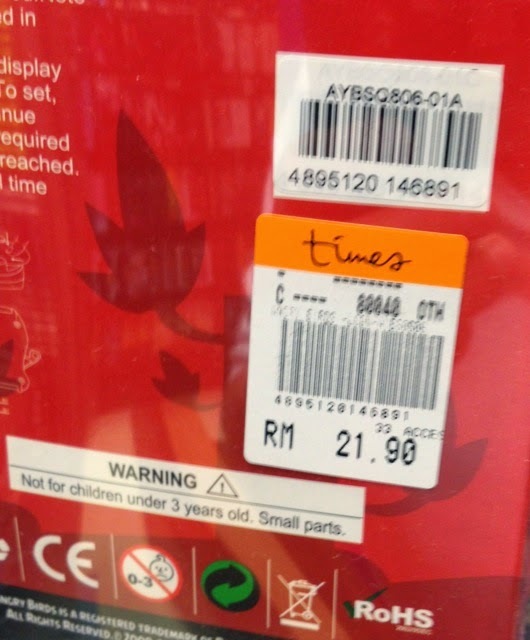 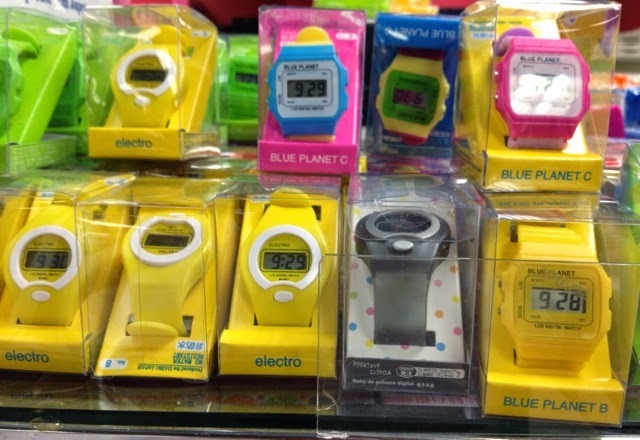 And it costs RM21.90 or about USD 7.